When you choose to spend your free time on home renovation projects, you want to be sure that it’s worth your while. 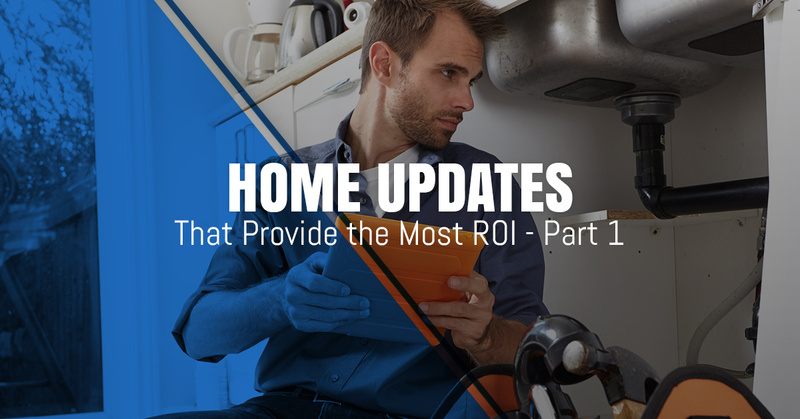 Keep reading for a list of our top home updates that will pay off in the long run. Bathroom remodels – This guide from HGTV explains that it costs around $10,000 to replace the tub, tile surround, toilet, floor, sink, vanity, and fixtures. You can expect to get back an average recoup rate of 102 percent. But what happens if you have next to no handyman skills? Rest assured that it’s fairly easy to re-caulk a tub. Keep in mind, however, that if your old tub is too large to fit out the door, keep things simple and re-glaze it for a finish that looks like new. Another quick tip for bathroom remodels is to remove old wall coverings and apply a fresh coat of paint. In terms of walls that are damaged, it’s a good idea to apply spray-on texture for quick overage. At MC Home Services in Boulder, our home remodeler can transform your old, ugly bathroom into a beautiful space that you can enjoy. Plus, there’s no need to worry if you have prior damage from water, mildew, or mold. Kitchen remodels – A revamped kitchen does wonders for an entire home. When you add in the fact that a kitchen remodel brings a recoup rate of nearly 99 percent, this type of project is a no-brainer. It’s important to know that a $15,000 kitchen update covers approximately 30 feet of refacing for cabinets and drawers, a new wall oven, cooktop, sink and fixtures, laminate countertops and flooring. You can even add recessed lighting for a modern, cozy feel that can also positively impact your energy bill. From painting to sanding and everything in between, it’s no wonder why so many homeowners trust Matt of MC of Home Services to handle their kitchen remodels. Attic conversion – When was the last time you checked out your attic? While it may have issues at the moment, a converted attic offers plenty of ROI at resale. For example, consider that the average attic bedroom in a two or three-bedroom house costs about $40,000 and returns nearly all of it at resale.There’s plenty of room for creativity here. A number of homeowners have success turning their once dreary attic into a snug, yet luxurious living space. With whatever route you choose with your attic, be sure to ask Matt for help with cleaning it out appropriately. Deck addition – Now that it’s summertime, why not enhance your outdoor space with a deck addition? Homeowners can expect a recoup rate of about 90 percent at resale with this kind of project. Then turn back the clock with memorable family outings, parties, and all sorts of get-togethers as you enjoy being outside. Do you already have a deck? Our home remodeler can easily sand and restore your deck with ease. Basement renovation – Does your basement currently serve as your go-to spot for storage? That’s boring! Instead, turn your basement into your favorite room in the whole house. That could mean an entertaining area, a bedroom/bathroom addition, or fitness space. By installing new flooring and finishing the walls, you open up plenty of opportunities. If you’re interested in basement remodels, be sure to give Matt a call. Stay tuned for the second part of this home upgrades blog and if you have any questions regarding drywall repair, carpentry, or home painting, contact MC Home Services today.